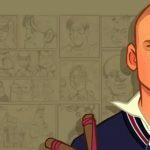 Oh My Godheads was originally released on the 6th April 2017 for Xbox One, PS4 and PC. The game has now been re-released as a party edition on the 25th September 2018,for the Nintendo Switch. 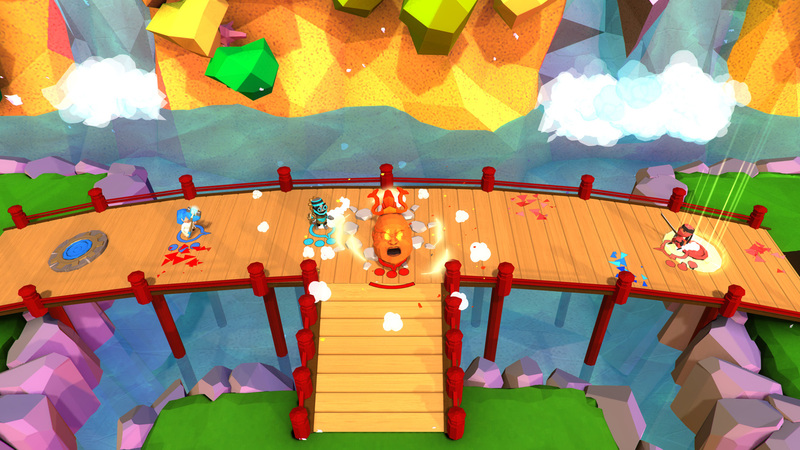 Oh My Godheads has been published by Square Enix and developed by Titutitech. It is a fast-paced capture-the-head action game and supports up to 4 players through split-screen. You can play through a solo mode or play with your friends. In the past, Square Enix have brought some huge game titles, including Final Fantasy and Kingdom Hearts, to our screens. 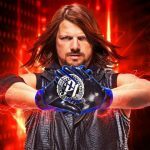 It is great to see them working on some smaller indie titles to show that they are not just a AAA company. Titutitech is quite a new developer. They are rather small at the moment but are growing fast. They were founded in 2014 and boast that they have a large amount of experience within their team. Oh My Godheads: Party Edition takes you through a short tutorial of the controls and then through different trials. 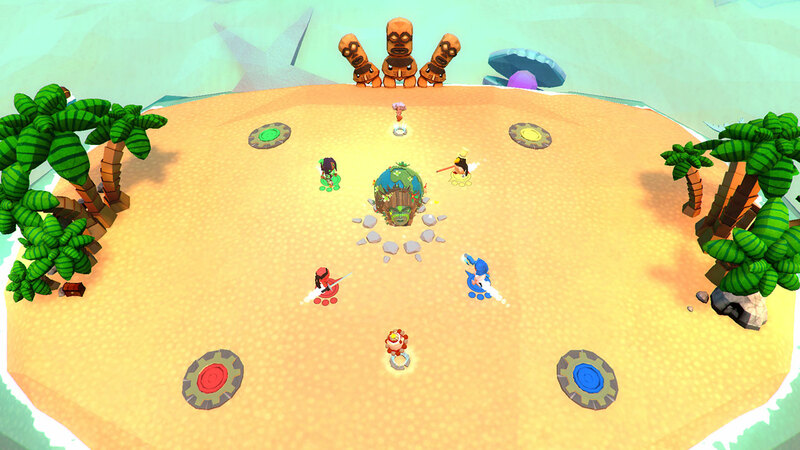 The game is extremely focused on its multiplayer aspect and is designed as a competitive couch play game. Normally, the main aim is to get a giant head from A to B, but some trials just involve destroying as many enemies as you can within an allotted time. At the beginning of the game, you get the option of choosing which character you would like to play as. The game has a lot of movement, and you can freely move around the area for each trial. 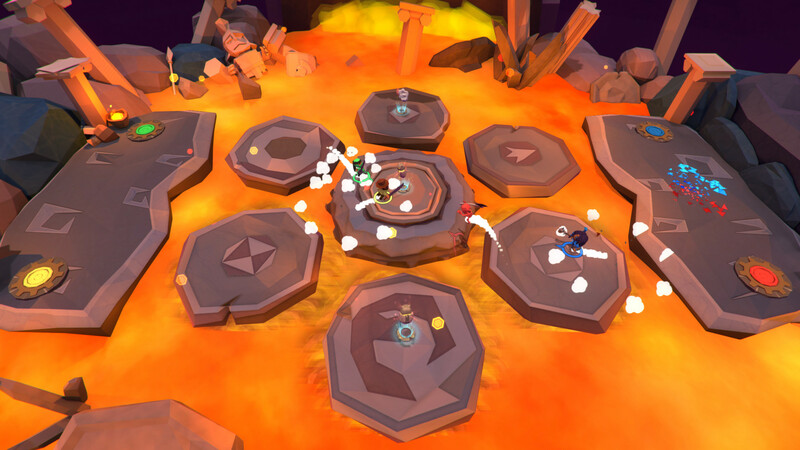 The characters have the ability to jump, throw, attack, dodge and tackle an enemy to the ground. The best advice I can give players for this game is to keep moving because, if you just stand still, you will probably die in some horrific way. When you manage to take the giant head, you need to move quickly because it will explode and damage you after a set amount of time. 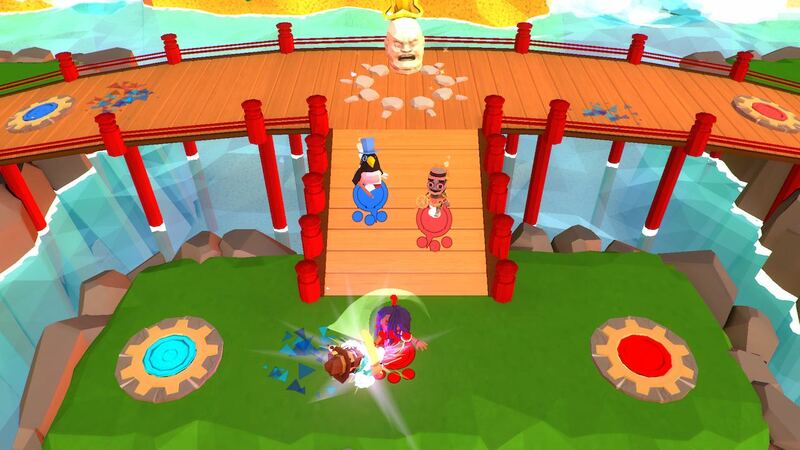 The greatest thing about Oh My Godheads: Party Edition is that it is a great party game that is family-focused. At least once a month, my husband and myself host a games night, and I believe that Oh My Godheads will be perfect for this event. After my friends and family have had a few drinks, I think Oh My Godheads will bring out their competitive side because the game doesn’t take itself too seriously. It is extremely bright and colourful. Although it is quite competitive, it is not a frustrating kind of competition. The fact that the game is not too serious reminds players that competition can be lighthearted and fun. Oh My Godheads definitely has some aspects that could be improved upon. The biggest issue I have found playing the game are the controls. When I was playing the game solo, I was playing it handheld. With each part of the tutorial, it would show a screen at the beginning which showed the controls. The issue is that this only showed what the controls would be if you were using one of the two control sticks. The tutorial does go into the detail of what the controls actually are, but even when I found out the controls, it felt overly complicated. Other games that I have played have offered the option for you to choose which type of control you will be using, whether that is through one of the two control sticks both via handheld or through an actual controller via the TV. I think if this had been incorporated, it would have been extremely helpful. Oh My Godheads: Party Edition is great as a party game and is very family-focused. It seems that indie games are holding up the fort for split-screen games at the moment, with most AAA games being only online multiplayer. It’s great to see that split-screen is still alive and well with games like Oh My Godheads. The game is not perfect, with the biggest issue being the control system, although it is very fun to play and feels lighthearted with the game not taking itself too seriously. 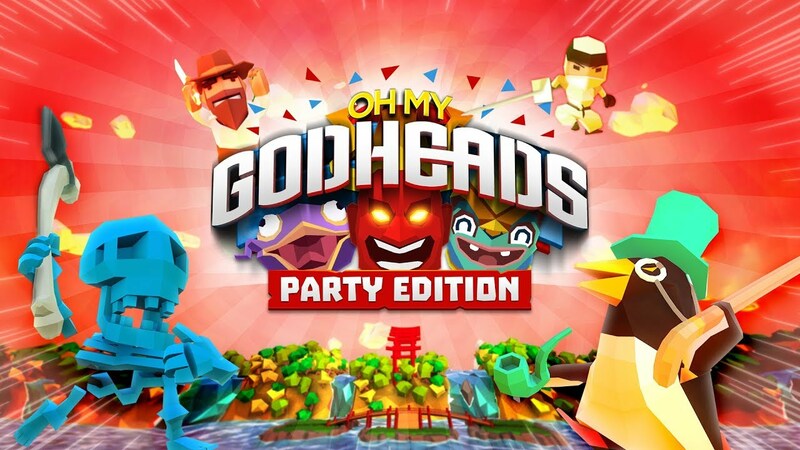 I have enjoyed playing Oh My Godheads: Party Edition with my friends and family because of the element of competition. The game is extremely colourful and bright. The characters are strange and unusual, and the giant heads are very creative. Oh My Godheads: Party Edition can be quite competitive and definitely has some control issues, but it is very fun to play and, with it being split-screen for up to four players, is not a bad party game.